Our homes are where we spend much of our down-time, and increasingly our work time, so we should make sure our surroundings reflect and enrich us as much as possible. In this age of fast-paced technological advancement, we have many options at our fingertips to make our lives easier, and to integrate our work and hobbies into our homes. As technology has evolved so quickly, we often find ourselves surrounded by a growing mass of wires and speakers. So before you scrabble about for a new set of batteries for one of your umpteen remote controls, Susan Robertson has asked some local experts how technology and design can work hand in hand to create the best tech experience and environment in our homes. So, perhaps it’s time to clear out the old DVDs, CDs, wires and aerials and have a fresh look at how we can make our homes, lives and technology work more effectively together. 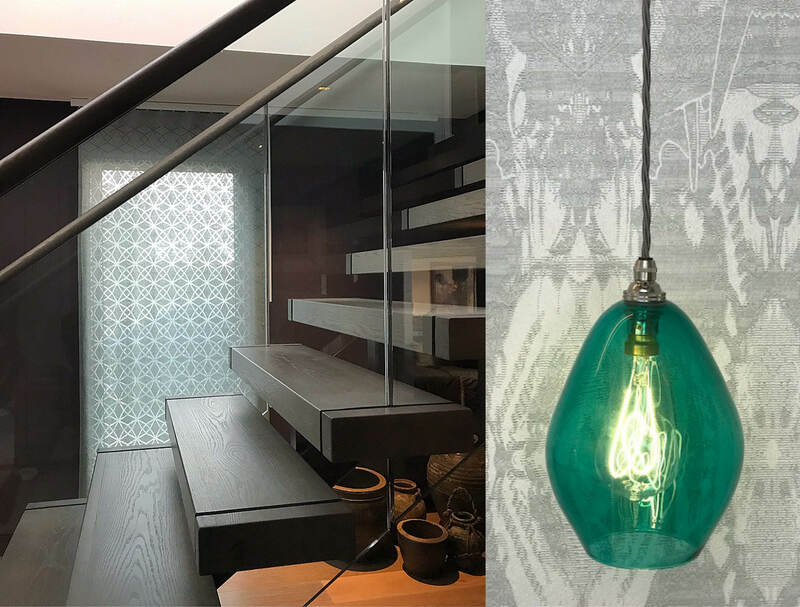 Allan and his team also offer a range of complimentary interior design services including smart wiring, lighting design and control, acoustic room treatment and heating control. So you can really create a bespoke smart home that is tailored precisely to your individual needs and the design of your home. He has recently collaborated with interior designer, Lisa Trainer of Red Door Interiors. Lisa said, ‘The development of technology in a digital world has surged its way in to how we live our lives in every way. Evolving, adapting and being informed of these changes is crucial to architects and interior designers in the whole process of a design from initial concepts to planning and specifying lighting, heating, air conditioning, blinds and curtains, audio visual, TV, computers and security all combine to present high performance multi-room use and design possibilities. Both Allan and Lisa stress that involving the experts as soon as possible in any new project is key to its success. So, as the options presented by technology advancements become greater and more accessible, there is some more thought required to make the best use of what’s available to us, and to integrate it seamlessly into a clever design to create a functional and beautiful environment. We may often overlook the technology aspect in any upgrade or redesign of our homes, but it’s a great opportunity to revisit our needs and wants for how our homes can function best for our needs, as well as looking and feeling the way that we want. We’re fortunate to have exceptional expertise on our doorsteps to walk us through the process.